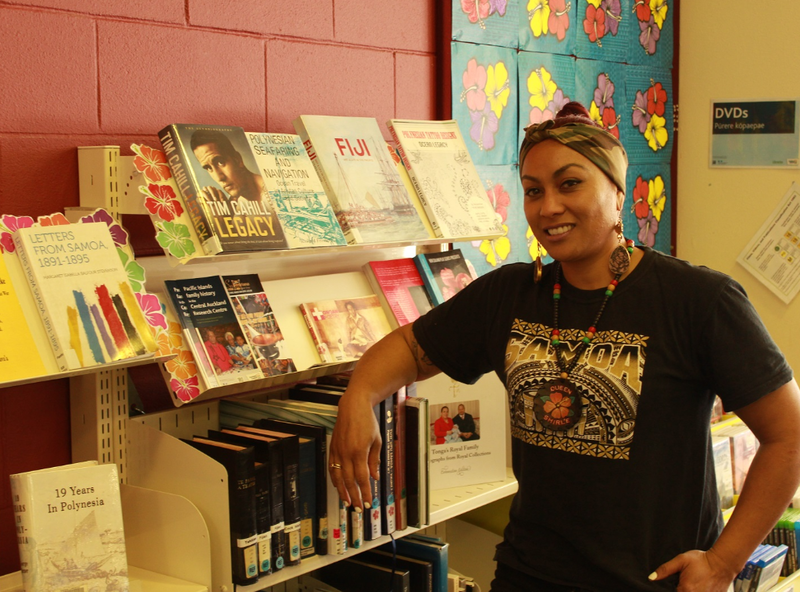 Queen Shirl’e has been running her Pathways to Performing Arts at Māngere Town Centre Library and Ōtāhuhu Library. A desire to provide activities for south Auckland’s youth has produced a sought-after performing arts programme. Queen Shirl’e runs the Pathways to Performing Arts, a free afterschool programme for young people that teaches the basics of singing, rapping and acting at Māngere Town Centre Library and Ōtāhuhu Library. Shirl’e has performed and collaborated with some of New Zealand’s biggest hip-hop acts but it wasn’t until she launched her solo career that she stumbled onto the idea of empowering the next generation. She was on her way to shoot her first music video when she noticed a group of teenagers on the side of the road during school hours. “I suggested they help me with my music video,” she says. Shirl’e took the group to a local community hall and taught them some basic performance skills. She turned it into a regular programme on the advice of the council facility manager at the hall and worked with Ōtāhuhu Library to bring the workshop to youth who hang out at the library after school. The following year, Shirl’e expanded her programme with the help of a grant from the Māngere Arts Broker, an initiative of Māngere-Ōtāhuhu Local Board. Her workshops include teaching songwriting, rapping, singing, acting, mixing music and, most importantly, building the confidence to perform in public. She’s now expanding the workshops to other parts of Auckland. Manukau Ward Councillor Fa’anana Efeso Collins, who holds the youth liaison portfolio for the Governing Body, says this programme is a prime example of empowering communities. “Shirl’e’s work is opening our youths’ minds to their own potential and also helping them engage in education in a way that suits their interests,” says Cr Collins. Shirl’e says the key aspect of her programme is not just passing on technical skills but showing young people they can chase their dreams. “I keep doing it because I was one of those kids [hanging around the streets] with no role models,” she says. Visit the Pathways to Performing Arts Facebook page for more information about the workshops.